Microtek, India’s leading inverter manufacturer is now all set to launch its innovative new solar inverter. Microtek has officially announced that the company is going to launch solar inverter in 850 and 1400 VA ranges; the product specification is now available on their official website. Though the exact date of launch is not yet finalized, the expectation has been growing pretty much. Here we come with some interesting features of Microtek Solar Inverter. Microtek solar inverter will be a Trapezoidal wave inverter (square wave inverter). It Carries 2 years manufacturer warranty, just like their other products. The solar panel wattage should be 75 to 120 % of the AH rating of battery connected to it, which means you should install 70 to 120 watts solar panel for charging a 100 ah battery. Two solar models are planned and names as ‘UPS SLB 850’ and ‘UPS SLB 1400’. The outlook of new solar inverter simply resembles the microtek classic inverter model ‘UPS SEB’, which is a massive hit among microtek inverter models. UPS SLB 850 is a single battery inverter system and the other model ‘UPS SLB 1400’ is double battery inverter system. 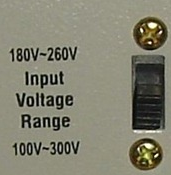 Both models are ‘Square wave Inverters’. These Hybrid solar inverters come with dual charge technology, which uses both grid and solar power for charging the battery. It charges the battery with solar power as primary source and grid power as secondary source. Reportedly ‘Microtek’ has a plan to launch 600 VA solar inverter model (UPS SLB 600) after the launch of 850 and 1400 VA inverters, but not yet officially confirmed by microtek, though the model name can be found on their solar inverter catalogue. No details about solar panel purchase are provided in microtek website and product catalogue. Sukam has a solar inverter model called ‘brainy’ (Cost around 30k)and it is available as bundled package with solar panels and battery, but microtek has not disclosed any information about product pricing and whether the product is available as a bundled package with battery and solar panels or just a inverter alone.